This gorgeous console table is part of our Mika Range. 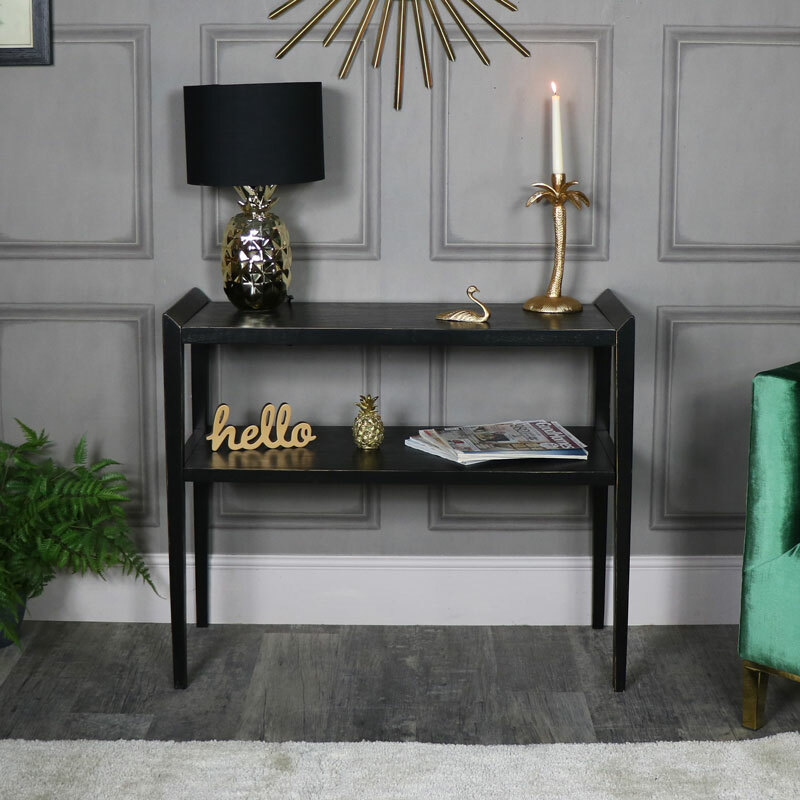 Incredibly stylish with hints of the Orient, this console table will be the perfect addition to a living room or hallway. In a rustic, antiqued finish, this console table, with 2 shelves, will give you a great reason to redesign your interior and create a fabulous new look. Ideal for displaying ornaments or arrangements with plenty of surface space. With a slightly quirky edge to it with the raised ends on either side of the table. 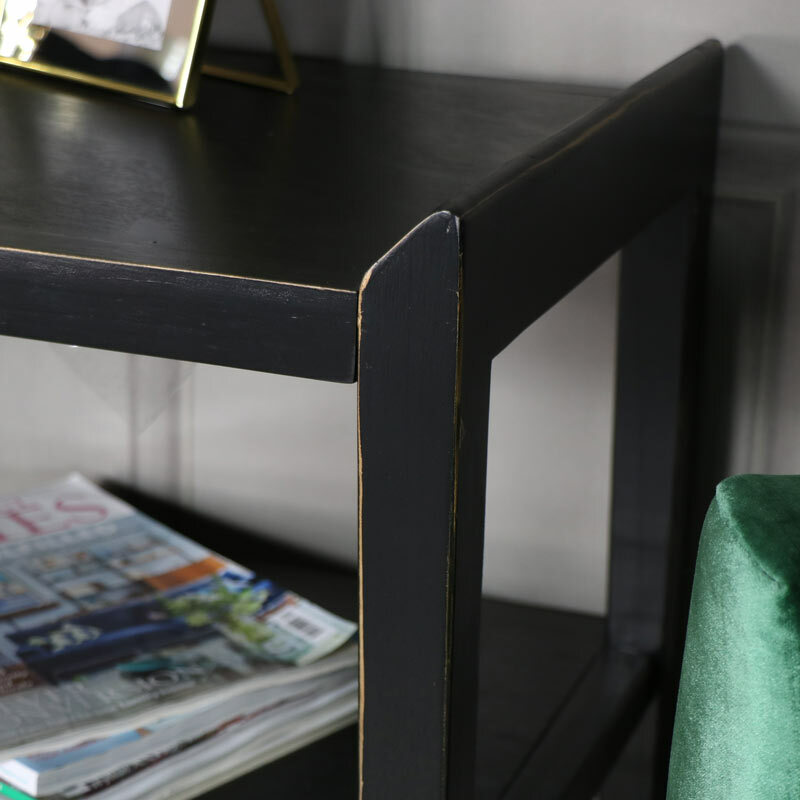 this console table is both sturdy and practical. 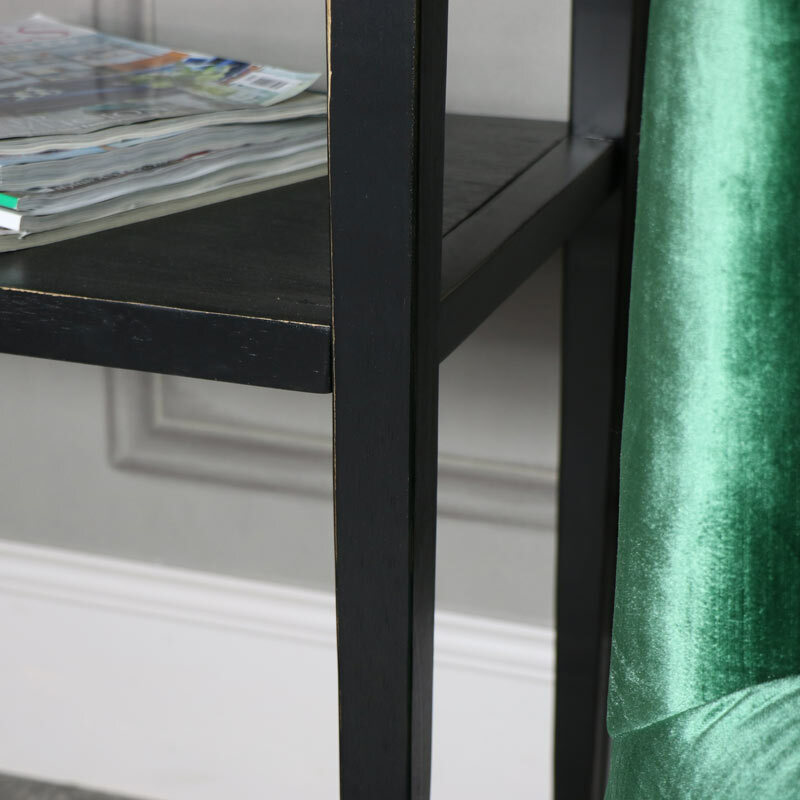 This gorgeous console table is part of our Mika Range. 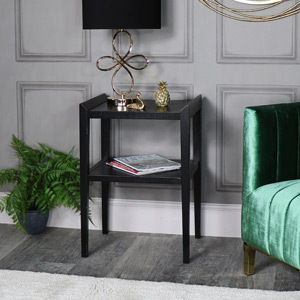 Incredibly stylish with hints of the Orient, this console table will be the perfect addition to a living room or hallway. In a rustic, antiqued finish, this console table, with 2 shelves, will give you a great reason to redesign your interior and create a fabulous new look. Ideal for displaying ornaments or arrangements with plenty of surface space. With a slightly quirky edge to it with the raised ends on either side of the table. this console table is both sturdy and practical. 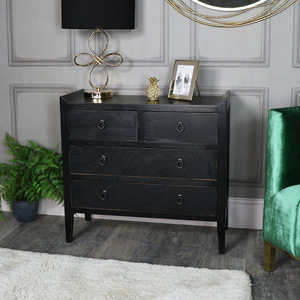 Made from pine wood in a black finish with gold edging that helps to create an antiqued oriental feel. The table measures 96cm x 81cm x 40cm (width x height x depth) with the shelf underneath measuring 94.5cm x 39.5cm (width x depth). There is some assembly required which involves fixing the shelves to the legs (fixings included). 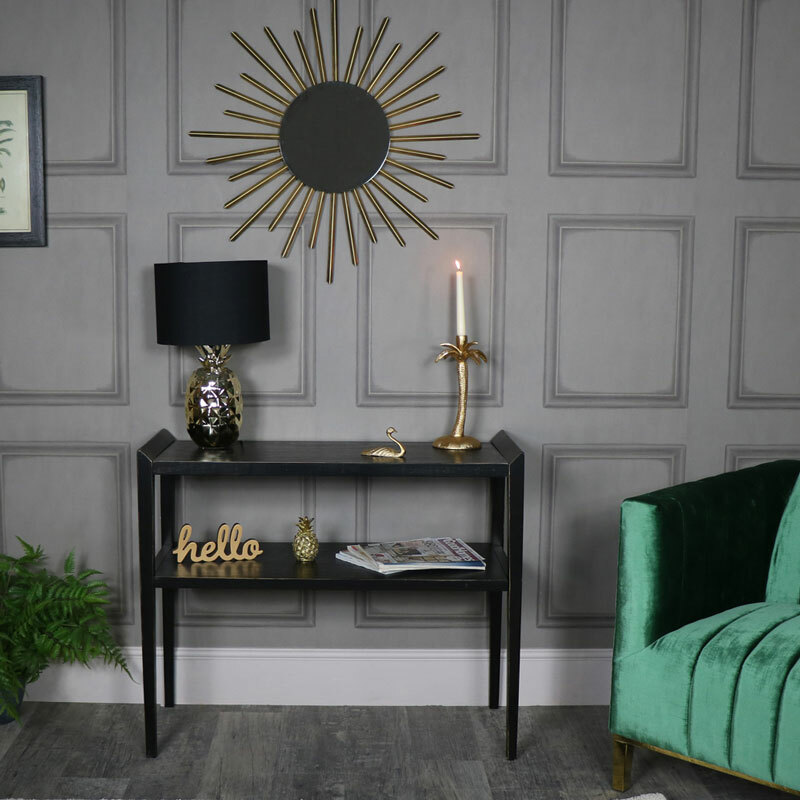 The table does come flat packed and will require assembly, this is quick and easy to do with the with all the fixings included.This console will make an elegant and stylish addition to your home, part of our Mika Range, we have more furniture for you to create a fabulous look to your home.